If you thought Kristina was in trouble in Crank, you haven’t seen anything yet. In this progression to Glass, Kristina has moved from street-grade meth (or crank) to Mafia produced ice (or glass). All with an infant baby who deserves, and isn’t getting, his mother’s love. I’ve talked in my Crank review about the devastation of taking a bright, straight-A “Kristina” and turning her into a monster (pun intended). “That will never happen to me” has clearly been proven wrong. The goody-goody that was headed for college and a bright future fell so deep down the rabbit hole that she didn’t know which way was up. This can happen to you. This can happen to anyone. 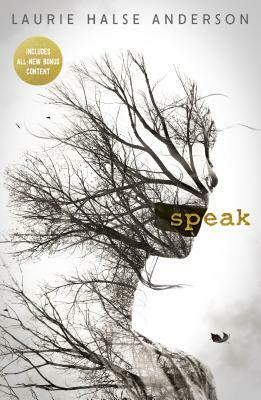 In Crank, her story of falling from grace is a little more understandable. Poor, straight-laced Kristina has never really had any fun; never really had a boy pay her attention. So, when a boy starts paying her attention and her father not only doesn’t care, but condones bad behaviour, it’s no surprise that Kristina takes a leap of faith right off of a treacherous, deadly cliff. It is in Glass, however, that my understanding Kristina’s actions (even if only slightly), is obliterated. Before, the logic was there: Kristina just wanted to do something wild; she just wanted to be loved. Now, she’s got a baby to look after and a loving, forgiving family to make proud. Still, she throws it all away. Kristina’s second fall from grace is one that we all saw coming, but I still hoped and prayed it wouldn’t happen. I had faith that Kristina was stronger now; that with her family she would find the right path to take and stay on that path. I had faith that if Kristina needed help, she would lean on her loving mother and step-father. She didn’t do any of that. Instead, Kristina leaned on a boy with an even bigger meth problem than she ever had, and she turned to a drug even worse, with more vice-like grips, than crank. Kristina makes bad decision after bad decision. She becomes promiscuous, her inhibitions lowered thanks to the monster that is crystal meth. She doesn’t mind that her body (and heart) are shared between both Trey and Brad—that’s just the way of things. Kristina’s standards for living are also depleted. She has to sleep in her car? No biggie. She has to act as nanny to children who just want Mommy home, so that Kristina can have a close connection to the Mexican Mafia? Ah well, that’s just how it is. Kristina has to steal from her own mother in order to buy paralyzingly illegal amounts of glass to push to her customers? You’ve got to do that you’ve got to do. To think that this all results in another baby that Kristina will not be able to care for, is just depressing. The fact that Kristina is optimistic about her future, whilst heaving and sweating out the last of the crank in her system, is laughable. But, it really isn’t laughable, is it? Because Kristina truly thinks that this is just a stint; that life will get better. For that, I can’t help but pity her. Once you let the monster into your life, the monster is there forever. Glass makes us all take a good, hard look at addiction. Kristina managed to get clean for the nine months she was pregnant with Hunter, and even managed to stay clean for a little while after that. The monster of addiction, however, is always calling. The monster will always call. 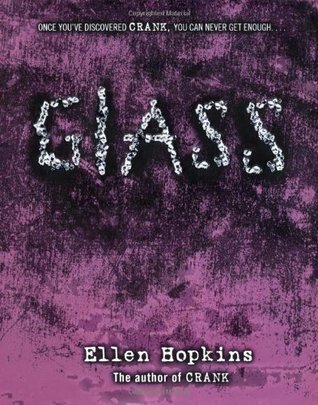 My full review of Ellen Hopkins’ Glass is also available on Goodreads. Have you read Glass? Please leave a comment below (spoiler free)! Thanks so much for taking the time to read and review so thoughtfully, Bree. Appreciate it.